Sparring partner(s) at home: Dave Munson, Mike Munson, Suhn Lee, Daniel Cordova, Dane Szatkowski, Bill Mehilos. Most important win in a tournament and most satisfying win in a tournament: Most important win was beating Peixoto, then Nett in 2012 Milwaukee Classic 4-Wall Open Singles tournament. Most satisfying win was beating Chapman in 2012 LaGrange 3-wall tournament. How long have you been playing: Twelve Years. What are your goals in handball going forward: I hope to play more pro tournaments to improve my skills and be able to win on any given day. What are your goals for the R48 season: To play well enough to make some noticeable upsets. 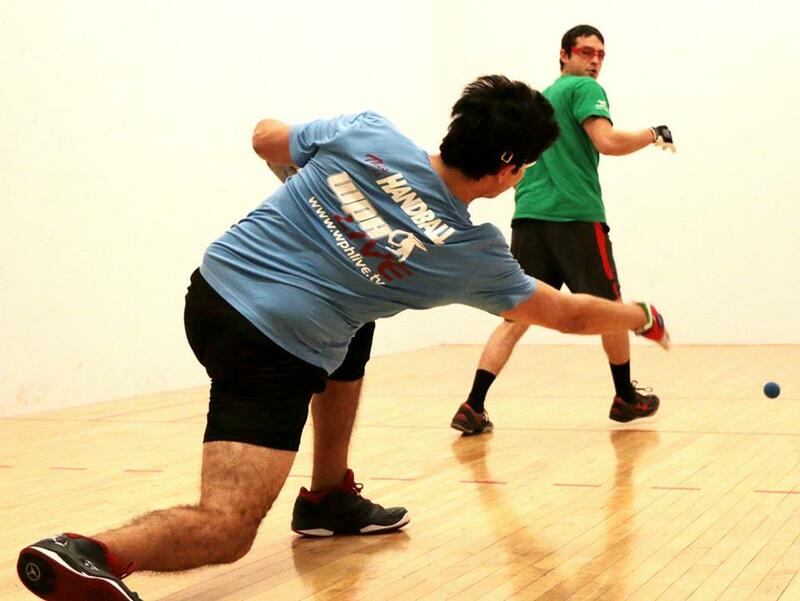 Favorite handball tournament: Simple Green US Open of Handball. How do you prepare for Race events: Try to play handball everyday, while cross training at my gym. What do you love about handball: I love the competitive nature of the sport and the great workout it provides me. I also enjoy the handball community, which has become an extension of my own family. How would you describe your game: Tenacious play with the ability to kill the ball and change speeds. What is your best shot: Kill shots in general. Given the choice, what top R48 would you most like to play: Brady only because I was too nervous the first time I played him. Who has inspired you to play this game at such a high level: My two coaches, but mainly my father Steve. Who do you think is the best player of all time: Naty Alvarado Sr. Which pro would you most like to have played in his prime: David Chapman.